Enes Kanter appears to hold no ill will toward the Knicks. The 26-year-old center told reporters Wednesday he’d recommend the Knicks to impending free agents. 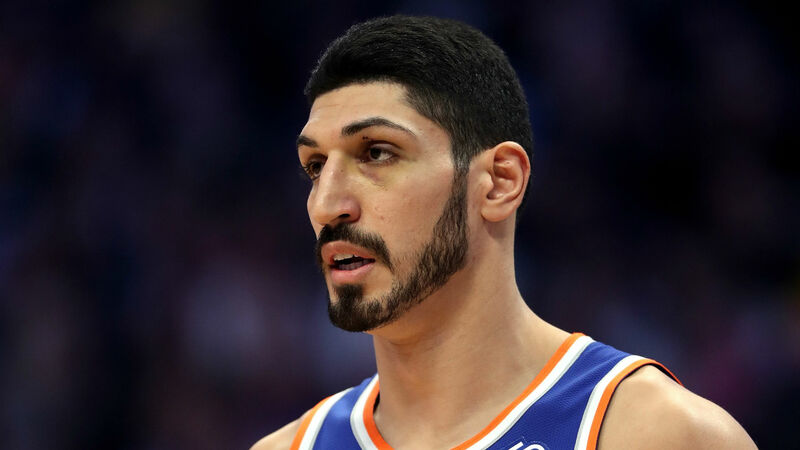 Kanter had been unhappy with his role in New York before he was bought out by the team earlier this month. He went on to sign with the Trail Blazers. Kanter averaged 14 points and 10.5 rebounds in 44 games with the Knicks this season. But, his minutes were reduced in January as New York began to focus on developing its younger players. “We’re competitors and I want to go out there and play basketball,” Kanter said at the time, via NorthJersey.com. “But … it’s not like I’m 32, 33 years old. I’m 26 years old and I want to go out there and compete and play basketball." Kanter is expected to make his debut for the Trail Blazers when they face the Nets in Brooklyn on Thursday. Portland will enter that matchup in fourth place of the Western Conference with a 34-23 record.